Objective: To investigate the chemical components and biological activities of avocado seed extract and fractions in order to determine the nutritional and pharmaceutical values of avocado seed. Methods: Various organic solvents were applied for extraction and fractionation of avocado seed. 1,1-diphenyl-2-picryl-hydrazyl, 2,2-azinobis-3-ethyl benzothiazoline-6-sulfonic acid, and DNA oxidation assays were applied for investigation of free radical scavenging activity. Nitric oxide production was measured by Griess reaction assay. Moreover, MTT assay was used to measure cancer cell growth inhibition. Results: The result indicated that the avocado seed contains (7.14 ± 0.40) g lipid/100 g, (1.67 ± 0.03) g protein/100 g, (54.0 ± 1.2) g carbohydrate/100 g, and (62.0 ± 2.3) mg gallic acid equivalent/g dried weight extract. Moreover, dichloromethane and ethyl acetate were revealed to be the highest free radical scavenging fractions with IC50 values of (48.0 ± 3.4) μg/mL (1,1-diphenyl-2-picryl-hydrazyl assay) and (22.0 ± 1.8) μg/mL (2,2-azinobis-3-ethyl benzothiazoline-6-sulfonic acid assay), respectively. Additionally, the avocado seed extract and fractions were able to protect against H2O2-induced DNA damage at the concentration of 100 μg/mL. On the other hand, the ethanol extract was effective in reducing nitric oxide production from lipopolysaccharide-stimulated RAW 264.7 macrophage cells without cytotoxic effect. Notably, the avocado seed significantly inhibited the proliferation of human lung A549 and human gastric BGC823 cancer cells at the concentration of 200 μg/mL, especially hexane (81 ± 3)% and dichloromethane (75 ± 2)% fractions. Conclusions: The results of the present study supported the avocado seed as potential by-product source for further development of health beneficial products. Objective: To analyze the phytochemical constituents, and to explore potential protective effect of the methanol extract of Moringa oleifera (M. oleifera) seeds and Egyptian propolis, each alone or concurrently administered on acetic acid-induced ulcerative colitis in rats. 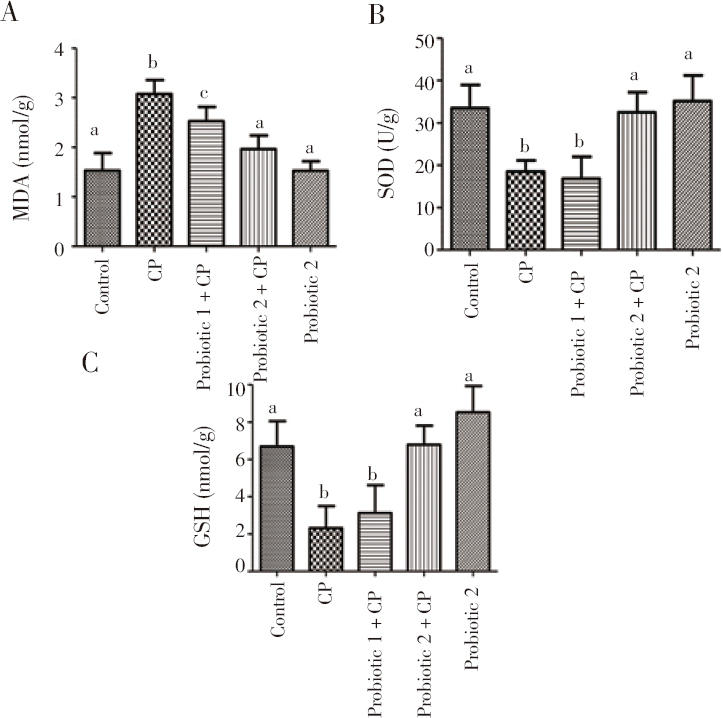 Methods: Eight groups of 5 rats each were used: normal control group with distilled water, model group, two groups with M. oleifera seeds (100 and 200 mg/kg), two groups with propolis (50 and 100 mg/kg), one group with concurrent administration of both, and one group with prednisolone (reference drug). 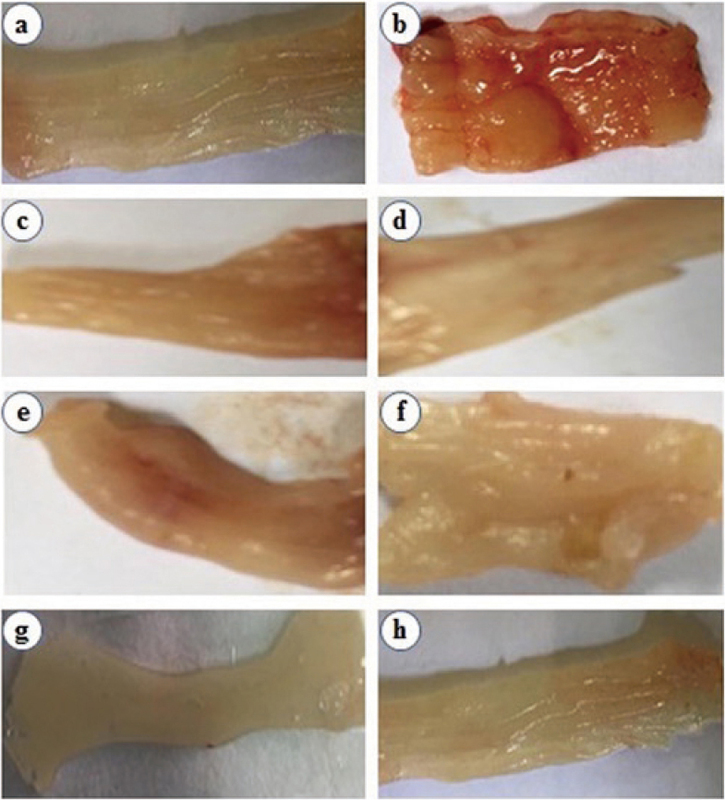 Macro-and microscopic picture, ulcer index and lesion scores, oxidative markers, inflammatory mediators, in vitro activity of the inflammatory enzymes and 1, 1-diphenyl-2-picrylhydrazyl free radicals scavenging activity were evaluated. The phytochemical constituents of both extracts were explored by GC-MS analysis. Results: Both treatments modulated the macro-and microscopic picture, decreased the ulcerative index, lesion score, oxidative markers and inflammatory mediators, and inhibited the COX-1 and COX-2 enzymes. Propolis appeared to be powerful free radicals scavenger. A powerful synergistic effect of both treatments in modulating the course of the disease was reported. GC-MS analysis of methanol extract of M. oleifera seeds and propolis revealed the presence of 50 and 34 compounds, respectively. Conclusions: M. oleifera seeds and propolis methanol extracts have modulated the course of acetic acid-induced ulcerative colitis. Moreover, both treatments induce a good synergistic effect against the disease. Isolation of the active constituents is recommended. 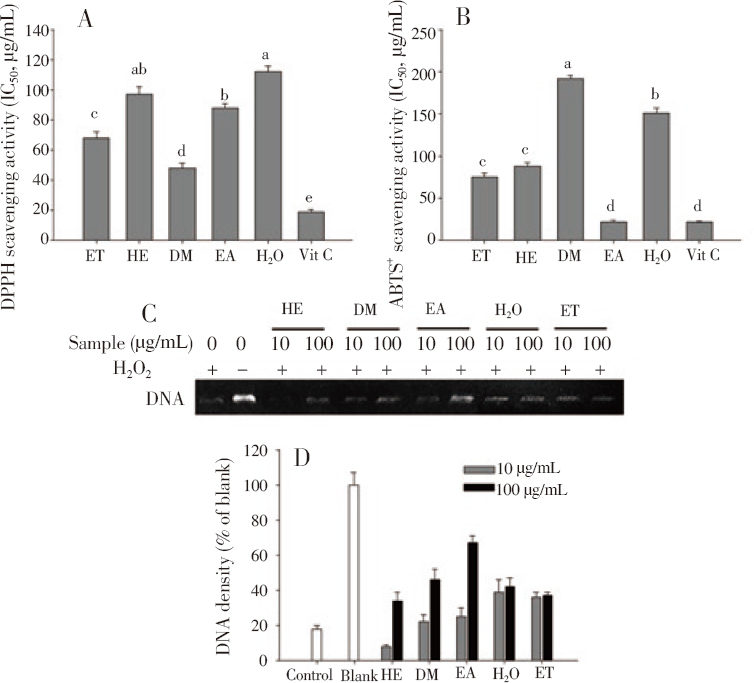 Objective: To determine the anti-neuroinflammatory activity of Moringa oleifera leaf extract (MLE) under lipopolysaccharide stimulation of mouse murine microglia BV2 cells in vitro. Methods: The cytotoxicity effect of MLE was investigated by 3-(4, 5-dimethylthiazol-2-yl)-2, 5-diphenyl-tetrazolium bromide assay. The inflammatory response of BV-2 cells were induced with lipopolysaccharide. The generation of nitric oxide levels was determined by using Griess assay and the level of pro-inflammatory cytokines (IL-1β, IL-6 and TNF-α) was evaluated by ELISA kit. The expression of iNOS, COX-2 as well as IκB-α was carried out by immunoblot analysis. Results: MLE reduced the nitric oxide production in concentration-dependent manner, and maintained the viability of BV-2 microglial cells which indicated absence of toxicity. In addition, MLE repressed the activation of nuclear factor kappa B by arresting the deterioration of IκB-α, consequently resulted in suppression of cytokines expression such as COX-2 and iNOS. Conclusions: MLE inhibitory activities are associated with the inhibition of nuclear factor kappa B transcriptional activity in BV2 microglial cells. Thus MLE may offer a substantial treatment for neuroinflammatory diseases. Objective: To investigate the effects of probiotic bacteria on cisplatin (CP)-induced nephrotoxicity. Methods: In the present study, 50 Sprague-Dawley rats were used and randomly divided into five groups including control, CP, probiotic bacteria treatment groups with different doses (0.5 and 1 mL) and only probiotic bacteria group. After CP and probiotic administration on seven days, rats sacrificed under anesthesia on the eighth day. 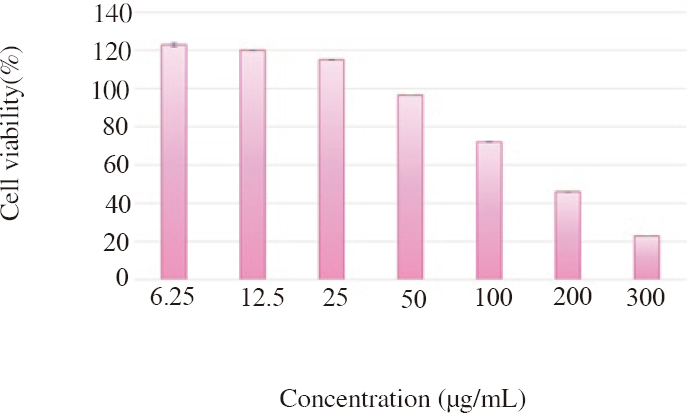 The serum urea, creatinine, and blood urea nitrogen levels were analyzed. In renal tissue, malondialdehyde levels, superoxide dismutase and glutathione activity, interleukin-8, interleukin-1β and tumor necrosis factor-alpha levels were determined and histopathological and immunohistochemical changes were also examined. Results: According to results, urea, creatinine and blood urea nitrogen levels as well as kidney weights increased in CP group. Also, CP induced inflammation, oxidative stress, DNA damage and apoptosis in kidney tissue and caused histopathological changes. Administration of the high dose of probiotic bacteria could prevent these changes and damages. Conclusions: This study reveals that probiotic bacteria has protective effects on CP-induced renal damage in rats. Objective: To evaluate the anti Candida activity of Hyptis martiusii decoction and its major compound, caffeic acid alone or in the presence of fluconazole, as well as their cytotoxic effect. Methods: The decoction was characterized using high performance liquid chromatography coupled with diode array detector. For the antifungal activity, the minimum inhibitory concentration (MIC) and the potential effect of the decoction with the fluconazole were evaluated by microdilution method using 96-well microtiter trays. The osmotic fragility test was performed using erythrocytes under saline stress. All tests were performed in triplicate. 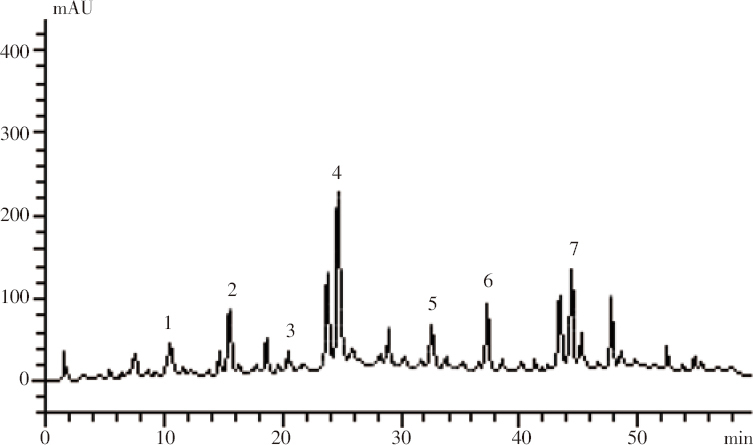 Results: The chemical characterization of the decoction was performed by high performance liquid chromatography and revealed the presence of seven compounds, including caffeic acid as major constituent. The antifungal tests demonstrated that both decoction (DHm) and caffeic acid obtained from Hyptis martiusii presented MIC and MFC ≥ 4096 μg/mL against Candida albicans and Candida tropicalis strains. However, in the presence of fluconazole, DHm and caffeic acid presented IC50 of 2.60 and 2.53 μg/mL respectively, demonstrating significant synergistic effects against Candida strains. The modulator activity of DHm might be due to the presence of caffeic acid. Moreover, DHm and caffeic acid did not cause significant hemolytic effects, indicating that they present low cytotoxicity. Conclusions: These data indicate that DHm potentiates the activity of the fluconazole, without enhancement of the toxicity, encouraging further toxicological, pharmacological and phytochemical studies to provide consistent evidence of the potential of this plant to be used in drug development. Objective: To investigate the presence, prevalence and phylogenetic classification of bovine torovirus (BToV). Methods: Stool samples from 72 calves, which were negative for primary gastroenteritis agents, were examined with the nested PCR method by using BToV M gene-specific primers. Results: BToV was detected in 12 (16.7%) out of 72 samples. Phylogenetic analysis was performed using nucleotide and amino acid sequences. In the phylogenetic tree, European, American, Far East and Turkish strains were found to be divided into different branches. Interestingly, it was observed that Turkish strains were divided into two subgroups. Considering the amino acid sequences of these strains having differences at nucleotide level, the change at the 3rd amino acid of the partial M gene in Turkish strains has made Turkish strains different from all other strains. Similarly, the differences were observed in the 18th, 20th, 63rd and 93rd amino acids of the partial M gene only in Turkish field strains. Conclusions: This study revealed that Turkish strains of BToV constitute a separate phylogenetic group and can be divided into two subgroups. In addition, BToV was found to be a common pathogen causing diarrhea in calves in Turkey, and it is a necessity to consider BToV in cases of diarrhea with unknown cause.